This Land is your land.....This land is my land.....from California to the New York Island....from the redwood forest to the gulf stream waters.....this land was made for you and me. 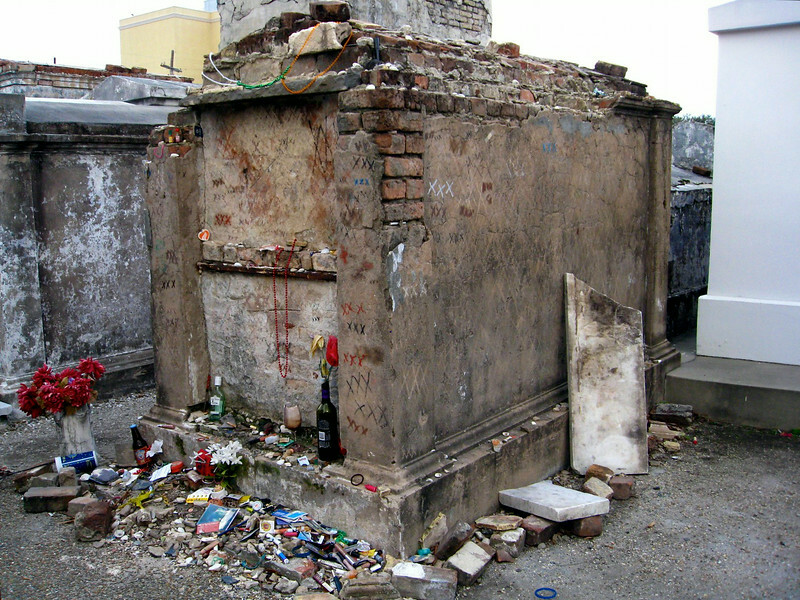 The tomb of voodoo queen Marie Leveau. You can see the array of various offerings left by her followers in hopes of the lifting or placing curses in her name.